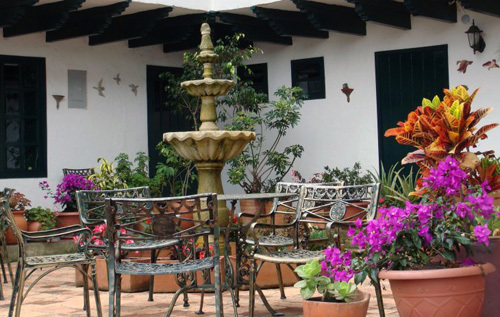 Hotel Hospedería San Carlos is among the best hotels in Villa de Leyva; ideal for holidays and weekends. It is the best choice when visiting Colombia. Hotel Hospederia San Carlos has an exclusive and peaceful environment. Hotel Hospederia San Carlos has been built for hotel purposes, but in a colonial architectural style. Panoramic balconies, ample hall ways, and spaces with natural light and gardens give Hotel Hospederia San Carlos in Villa de Leyva a true character. The photo gallery shows in detail this unique hotel that will guarantee an unforgettable visit to Villa De Leyva.